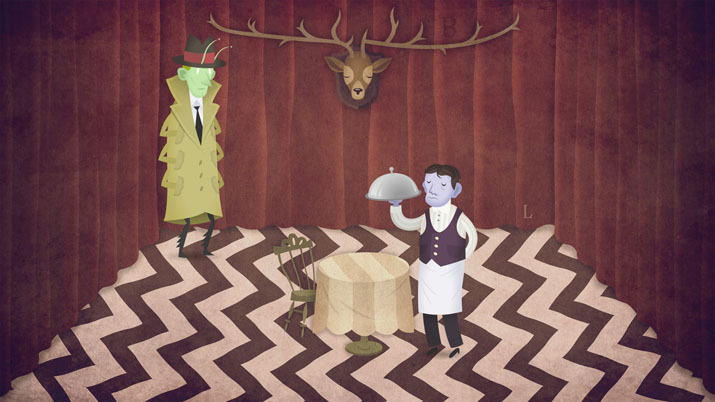 Franz Kafka was not, in fact, a videogame. He was a person. Specifically, he was an author who wrote about the absurdity of human institutions, sometimes using fantastical realism – like that time we all remember when a traveling salesman turned into a monstrous insect (actually, let’s face it: it’s the only story anyone remembers of his). 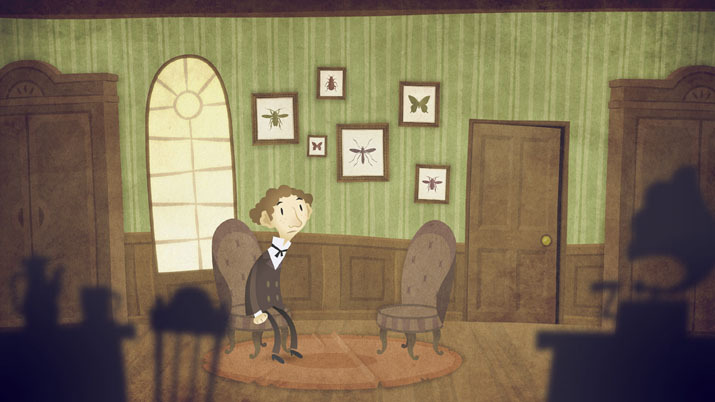 Franz Kafka the Videogame is nominally about the author, but that is really where the similarities end; ultimately, this short, absurdist point-and-click puzzler leaves you nonplussed. This is incredibly brief, even for a game that is currently on sale for $10, but it still manages to drag on too long in parts. Specifically, if you can’t solve a puzzle (which might happen often), you can look at your notebook for hints, but only after a timer has elapsed. If you want a second hint, you must wait for the second timer. You don’t always need the hints, but, if you do, your only options are to randomly click around trying to find a solution — or else stare at the screen while you wait. The artwork is interesting and unique, so staring is not a terrible option, but it can feel a bit like watching a movie in which the director has arbitrarily decided to delay certain scenes. 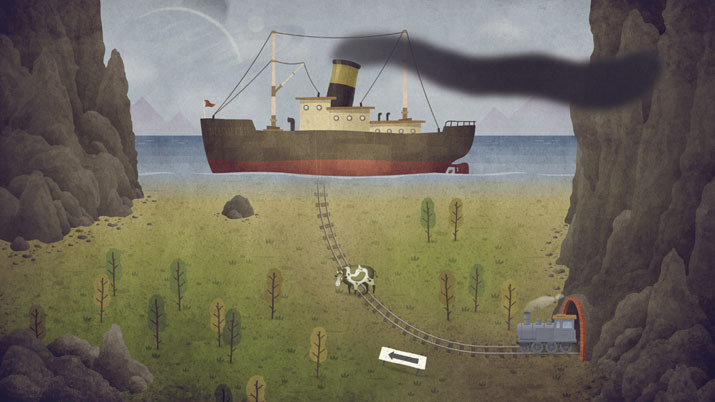 The stop-and-go film feeling is not helped by some of the puzzles. There is a wide variety of rompecabezas, which on the one hand should be applauded for creativity, but on the other results in an uneven experience when it comes to difficulty. Many of the puzzles are related to words, and a dictionary definition even pops up when you solve them. These are both enjoyable and thematic, since Kafka was an author, and it might have served this title well to focus more strongly on the word-game theme. However, the rest of the challenges are all over the place. Some seem to fit the time period setting of Kafka’s life while others are more modern. Some involve contextual clues, while others are essentially a game of hide-and-seek — you need to figure out what part of the screen to click (remember: no clues). Still other puzzles involve clicking things in a seemingly arbitrary order or using the process of elimination and trial and error to solve. For many of these, it is essentially impossible to advance without using hints. Since it will not spoil any puzzles that you could figure out on wits alone, I will give an example. There is one section of Kafka where the protagonist is placed on a board game and you need to roll the dice to advance him. This isn’t a puzzle, you just roll the dice. After he has advanced a few squares, a chess knight blocks his path and you need to find a way around. This, again, is hardly a puzzle, because you just need to click on a camouflaged Scrabble letter which falls down to change the word “rush” to “brush.” A paint brush appears and paints a new path, but you are soon blocked again, with no contextual clues for how to advance. The notebook reveals a picture of a car to you, after which you know that you need to click on a garage to advance – yet again, this is not a puzzle. Absurdity, but to what end? At this point, you may be wondering why the protagonist is part of a board game, and the simple answer is that it’s absurd. The plot explains why the story is so absurd, but this is somewhat inconsequential – the actual overarching reason is that Kafka is thought to be associated with absurdity. Unfortunately, however, this title misses the mark on being Kafkaesque, so to speak. As mentioned above, Kafka wrote about the absurdity of institutions, like the law and bureaucracy, in order to make a point about those institutions. His writing did not contain absurdity just for the sake of absurdity, as this title does. Before you wonder whether I simply didn’t get the point, let me stop you to reveal this fact: At one point there is a fighting game sequence which is a spoof of Daikatana, the creator of which, John Romero, flashes on screen to give his approval. It isn’t a metaphor; it is just randomness to be quirky and random. In the opening scenes of this release, you may still have your doubts about this and be trying to figure out what the message of the narrative is intended to be – until the first time the protagonist comes out with the incredibly on-the-nose statement, “This is absurd!” It isn’t the only time he says it, either. He really wants you to know that this is absurd, because the point of the adventure is to be absurd, because the creator believed Kafka to be quintessentially absurd.